In the mid-1980s it would have been obvious to most – particularly to those with unwieldy stockpiles of vinyl – that it was only a matter of time before we were carrying our record collections around on a small portable device. A marginally less reasonable expectation of mine was that, without being troubled by having to make an awkward selection, I could instantly be dispatched the music my heart and soul desired. A telepathic transmitter (we’ll say app) would process neurological data, consult my hungry eardrums, and, bingo, the perfect musical recipe would materialise instantly. Alas, if this idea is ever fully realised, it will serve scant purpose. Nine times out of ten, the dial will point to Beach House. So many of the things I love about music – the listless two chord purity of the ballads of The Velvet Underground and Mazzy Star, those swirling somniferous waltzes of Spiritualized, the empyreal sojourns of Cocteau Twins, My Bloody Valentine and Hugo Largo, the spooky toy town keyboards of early Fall, the pagan folksiness of Vashti Bunyan and the Incredible String Band, not to mention Brian Wilson’s blessed gift for melody (his left ear has been left here, believe me!) – are manifest in the glorious six album harvest reaped by Alex Scally and Victoria Legrand over the last decade. 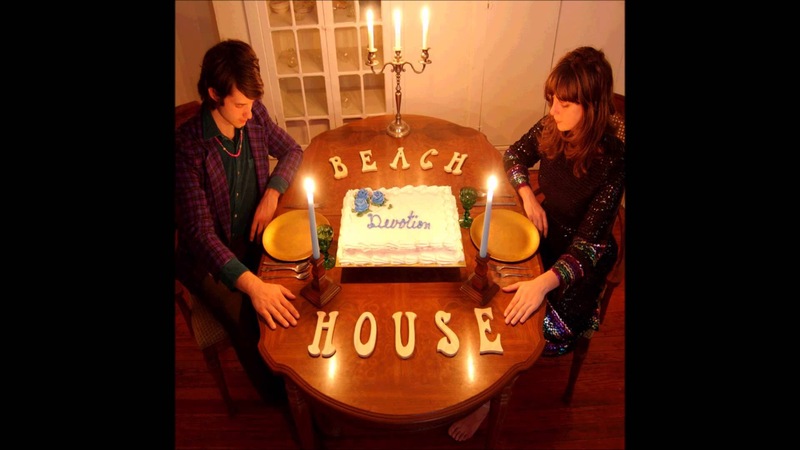 From the very beginning, on their self-titled debut album, Beach House orbited a universe of blurry memories and hazy dreams. Nebulous narratives alluded to fractured relationships, but everything in that low-fi reverie lacked definition and precision. Four years later the duo had transformed themselves into sophisto-dreampop auteurs, their third album Teen Dream, a purring dislocated pop classic, universally recognised as one of the decade’s landmark albums. In between those two, they released Devotion in February 2008. It marks the precise moment where the confidence is surging but the ambition still held in check by a mushrooming adventurousness sufficient in itself to procure its own reward. The music at this point is still facing inwards, basking in its own glow; after Devotion it would reach outwards. No harm in that at all of course – it deserved a wider audience, and the subsequent albums are of consistently high quality – but something of the charming amateurishness was lost as the production became progressively more assured. The Suicide-al drones may have remained, but a little less would be heard of that primitive programming (those Casio-style rhythms and beats) or those yearning Wicker Man folk stylings. Scally’s guitar is often buried lower in the mix than it would be on the later albums – here it often sounds unobtrusive – fuddled pedal steel, frilly licks – and is certainly of secondary importance to the organ. Along with Legrand’s velvety Nicoisms, balanced with that magical childlike imagery, the versatility of the organ – equal parts Sale Of The Century game show, spooked out Munsters moongazing, and Cale-ist celeste à la ‘Northern Sky’ – is as integral to the sound here as it is on say The Doors or Felt’s Forever Breathes The Lonely Word. ‘Gila’ has a knockout off-kilter melody – the bass hits its bottom note in a fleeting but jarring collision with the sparkling organ while Scally plays out a simple repetitive sonar rhythm and the phantasmagorical harmonies threaten to disintegrate completely… it’s the sort of song that books into your cranium for an extended vacation. Like a good host you welcome it warmly, but a warning: it may not check out on schedule. The languorous melancholia of ‘Turtle Island’ suggests a loneliness beyond repair: “By the dock of the pond, Turtle Island/I will wait for you there, creeping/Silently, I can’t keep you/Right behind me/All my days in the sun...” Likewise, on first hearing ‘Some Things Last A Long Time’ may be noticeable only for its brevity. However, the evocative lyric (by Daniel Johnston) hints at desperate heartache. As with the greatest love songs, it is what is left unsaid rather than what is voiced that matters. Beach House know this all too well and there is rarely anything explicit in what is being communicated. They simply intimate, we duly evaporate. I have found myself at times, eyes tightly shut, singing along to the words of the twinkling ‘Astronaut’ as if they had fallen out of the pages of a William Blake anthology, where, on paper, they are absurdly childlike. But the music is so ravishing they are afforded an uncommon poignancy. The holy fire of the solemnly gothic ‘Heart Of Chambers’ adds dark layers of density to proceedings. After momentarily threatening to mutate into ‘The Great Gig In The Sky’ it recovers with its very own anthemic finale (“In our beds we’re the lucky ones/filled with the sun/In our beds we’re the lucky ones/fill us with the sun”) – this would become a Beach House trademark – the splicing together of two different song ideas into one, the second part a protracted coda, an unexpected left turn, the Beach House twist on the perfect pop song.